Online ordering menu for Stone Mountain Public House. Bistro, crepery, coffee bar and drinkery (formerly Cafe JAYA). Our menu includes pub favorites as mozzarella sticks and jalapeno corn fritters! We offer lunch and dinner and have an extensive menu of starters, sides, entrees and sweets. We specialize in savory and sweet crepes made in house. 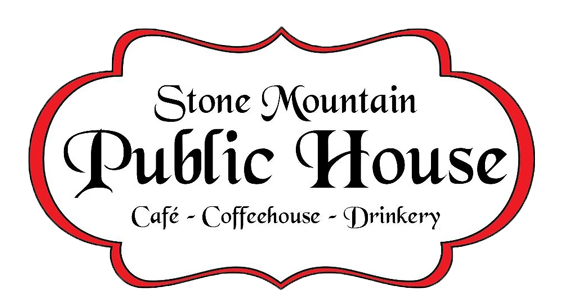 The Public House Bistro is located on Main St. just south of W Mountain St. We are about a 2 minute drive from Stone Mountain and just south of interstate 78!